The buzz of the impending Christmas holidays has an effect on the workplace as everyone is excited for the well-deserved break on the horizon. Work Christmas parties are great for team building and bonding for staff and management. It’s also a great time to show your appreciation to your hardworking team, for showing up every day and putting in their best effort to keep the machine moving forward. Happy staff make for a pleasant work environment and happy staff also mean happy customers, which is essential to every business. This Christmas show your staff that you appreciate their hard work with one of our beautiful hampers. 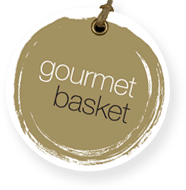 We have a diverse range at Gourmet Basket which means that you will find something for all tastes. In this post, we look at some gift hampers that are perfect for getting the work party started. This is the ideal hamper for a hard-working team. Leave it in the office kitchen as treat and your staff will be able to help themselves when they need a pick me up. The Ultimate Sweet Tooth hamper is full of gourmet sweet treats of all different kinds. The hamper contains many different types of chocolate from Zokoko Goddess, which is always a crowd favourite. That’s not all though: it contains fudge, rocky road, melting moments, and cookies as far as the eye can see. This basket is an absolute treat and has enough goodies for a team often. This hamper will make light work of preparing Friday afternoon drinks and nibbles. It’s hard to go wrong with cheese and wine and you will be hard pressed to find someone in the office that this basket doesn’t satisfy. It contains three bottles of wine, one red, one white and one sparkling, and a treasure trove of gourmet snacks to accompany the delicious wine. It’s hard to know where to begin! Well, let’s start with the cheeses of cheddar and brie, not to mention a fig and walnut log. Then there is a range of savoury snacks such as pistachios, crackers, and lavosh. There are also two packs of Red Rock deli artisan potato chips and a bunch more. The staff will be hard pressed to get through the contents of this basket. This basket has treats for the sweet and savoury lover as well as a nice bottle of D’Arenberg red to wash them back. It has an assortment of chocolates and nougat sweet treats as well as crackers and wasabi peas to please. Indulge your staff with the Gourmet Indulgence Hamper at your next work function. As the name suggests, this basket is full of the most exquisite cookies and chocolates that Australia and the world have to offer, of all different shapes, types, and sizes, and is perfect for an office afternoon pick me up. The contents of this basket won’t last too long and will be a hit with your staff. Celebrate a job well done with your staff by gifting the one or three of our beautiful hampers specifically designed to feed a hardworking team.